Moyee is the world’s first FairChain coffee brand – it is a single origin, organic coffee from Ethiopia being sold to businesses in Ireland. Moyee makes radically good coffee with radical impact because all of the value-added aspects of coffee production take place in Ethiopia. Uniquely for the coffee industry, this includes roasting the coffee in the country of origin and so it cuts out the middleman! This is what we call FairChain. 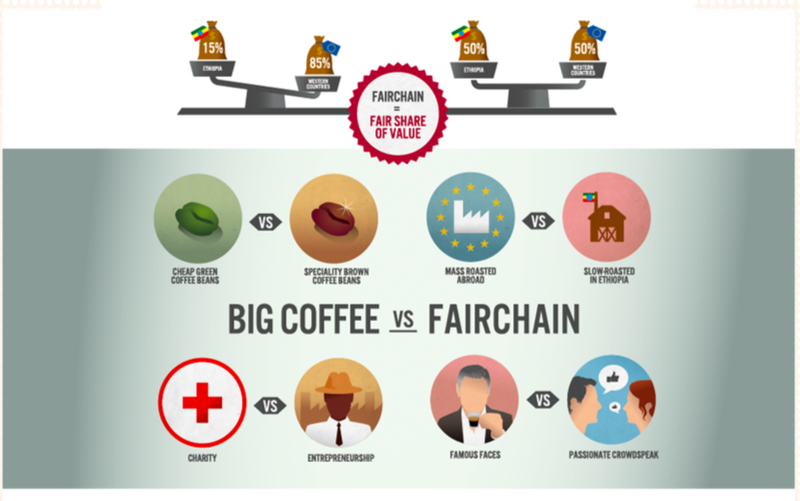 FairChain supports five times as many jobs as fair trade and creates more sustainable communities who get a fair share of profits from their coffee. 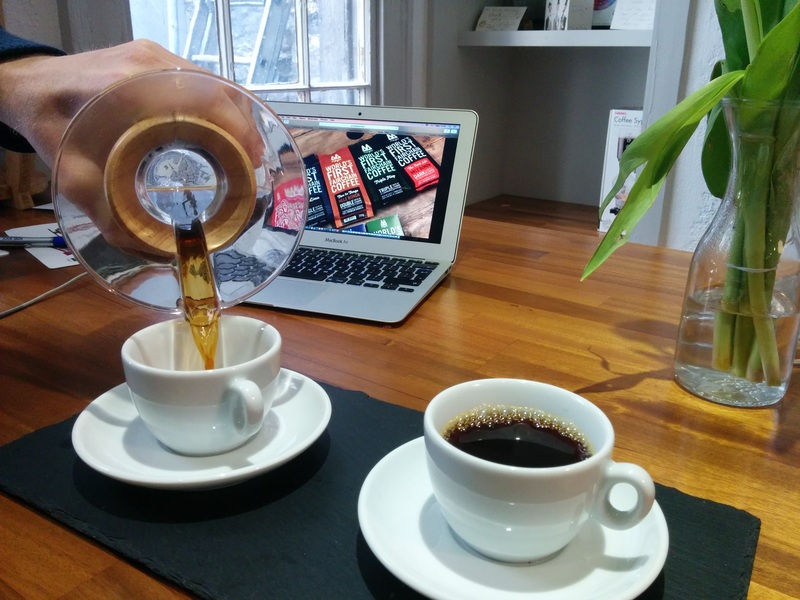 Sell 1 million cups of Moyee’ FairChain coffee in Ireland.